I am currently working on getting a promotion, a promotion that I frankly don’t think I deserve, and I don’t think I will receive. Okay, the fact is, I don’t think I really want to receive the promotion. There, I said it. I don’t know how many people in civil service ever have these kinds of feelings. I do think that civil service can sometimes be like building a pyramid, going as far you can possibly go until you feel you have maxed out or you die. Perhaps it’s something like the Freemason’s pyramid on the back of the one dollar bill. (The iconography may be on other bills, but I wouldn’t know right now; my wife—who makes twice as much as me—regularly “Jane Jetsons” me. She sings the TV theme song as she goes through my wallet for the larger bills.) The incomplete pyramid represents, if I remember my early U.S. history correctly, the idea that God’s work is never done under the all-seeing “eye of Providence.” In my secular interpretation of this Masonic symbol, aggressive civil servants keep gunning for promotions—not necessarily looking at where or when they will stop; if they have the self-confidence to keep going, why not? Forget about whether they deserve it or whether the whole system is self-serving, they just keep locking down those golden handcuffs! This is exactly like me, except in super-slow motion and without the self-confidence. There was a time, though, that I figured I would never even get to where I am. My career path out of high school started with panic. Before I graduated from high school, I visited my counselor. It was time for Mrs. Connelly to tell me what my options were for college: UOP, UCD, or maybe USC. It turned out the only USC I qualified for was the University of Southern Carmichael–the local community college American River College. With news of fellow classmates being accepted to Stanford, Cal, and UCLA, I somehow assumed that even with my sterling 2.3 GPA, some prestigious college would love to have me. When Mrs. Connelly said defensively, “Hey look, you were the one who couldn’t get a passing grade in ceramics, what do you expect from me?” I panicked. As I remember it, on the first weekday as a high school graduate, I found myself downtown in the U.S. Post Office and Courthouse building. I started with my first choice: the Coast Guard. You see, when the college thing fell through, my plan was to go to the Coast Guard Academy and become an oceanographer or maybe an ocean photographer. (At one point I thought the two were the same.) After graduating from the academy, I would put in my time taking pictures of fish; then, if I decided to leave after my service was up, I would become a firefighter. Firefighting seemed cool—not the actual firefighting part, but the fact that someone actually pays you for laying around a station watching TV and playing cards, at least that is how firefighting was depicted on TV—my chief educator. Since it’s a great-paying part-time job, I figured I could either kick it during the abundant time off, or get another low-pressure job and put in the time I wanted before I had to go back to the station and resume laying around and watching TV—what a breeze. Sitting across from a butch-haired young man wearing an immaculate white uniform, my plan unraveled fast. First the academy, then oceanography, Butch couldn’t even promise a stint taking ID photos of sailors, but that didn’t stop me from signing up to be a yeoman just like Butch. I have never been able to explain to my family’s satisfaction why I continued to allow the yeoman to fill out the enlistment papers after finding out I wasn’t going to go to the academy, etc. Nor can I explain without being embarrassed that I thought oceanography would be fun—I didn’t really consider oceanography a science, my worst subject in high school, besides ceramics. I had a big book on ocean fish and another on sharks, but since I only looked at the color pictures I somehow associated oceanography with photography. Regardless, when the time came, I signed on the dotted line. The only reason I wasn’t stuck scrubbing decks or sitting in an boring office signing up suckers like me was found on a separate form yeoman Butch forgot to fill out but remembered just as I was getting up: my medical information form. It was the medication I took for my seizure disorder—the same disorder that made me feel like an undermench, brittle among flexible young men—that spared me the sponge and bleach. Of course, I didn’t end up a transient; my parents didn’t throw me out into the street, they were very patient with me. I started attending college, and I quit my job at Taco Bell to sell shoes until I got the brilliant idea I didn’t need college—I could sell shoes on a full-time basis and skip the school gig; college was for losers. Besides dropping out of college being hubris, the decision to take on a full-time job that depended on commission ignored one glaring fact: I didn’t have the people skills required to sell shoes. Week after week, I would receive paychecks from Florsheim Shoes—each one said I made $50 in wages and, on an average, $40 in commissions. This brought me to about $90, which was $70 below minimum wage; California law forced Florsheim to pony up the balance each week. “Earnings Adjusted” was the caption of shame that contained the money that I didn’t earn but had to be given to me to make it legal. I actually made more money at Taco Bell as the nightshift crew chief, where I made two bits an hour over minimum wage. During weekly staff meetings, my manager, Jay (who also happened to be my best friend and the inspiration for my dropping out of college so I could make big bucks selling shoes) would ask me, “So, you’re getting the hang of this, right?” If I weren’t his friend, he would have righteously fired me. In retrospect, that would have been the best thing for me; instead, I lasted almost a year making minimum wage on Florsheim’s dime. I followed Jay to Julius Clothing, where I worked as a stock clerk for a short stint, learning just how much the markup is on high fashion clothing. Then, for some insane reason, I returned to Florsheim and languished there until landing what I still consider the best job I ever had. For a couple of years, I attended college again and wrote movie and music reviews for the American River College campus paper—The Beaver (now The Current). While attending screenings at the Tower Theatre as a movie critic, I started up a friendship with the manager. When a position opened up there, I applied and got a job tearing tickets. I spent the rest of my college years studying journalism with the hopes of becoming a rock critic like my heroes Greil Marcus and Robert Christgau. Of course, working at the Tower turned me into a bit of a film aficionado (snob) as well. More importantly, I developed friendships like those I never had before or since. The last days of college turned out to be just like the ones in high school: fraught with panic. As I was finishing up my degree in journalism I figured I couldn’t cut it as a journalist. I was told by editors from both the Sacramento Bee and Union at a career fair that “all writers” have to work their way up from cub reporter doing ads, funeral notices, and other short news pieces before they can work in the field they want. I felt I couldn’t (or wouldn’t) go through this process. This gloomy outlook on my chances to become a music/film critic, it turned out, was not true; things were changing in the newspaper business, and the old salts I had talked with were only reflecting how they remembered their own career paths. So what was I going to do being so close to graduating with a BA in Journalism and not wanting to be a journalist? Before running down to the Post Office building a friend told me about a proofreading job for the State of California. With my journalism skills and credentials (I edited two college papers) I aced the exam, the job test, and job interview, and got a position as a proofreader. Thus began my long career in civil service. While I have always had self-confidence problems I believe civil service has worn what little I had down to a nub. This lack in self-confidence has manifested itself in the last ten or so years in shiftlessness. In an age when most professionals are expected to move up or out every three years, I have moved only three in over 20, and in seventeen of that score I have worked in a depressing basement of the same building. Since I have been working in civil service I have seen many coworkers who have had the same classification as me, or lower, move many steps above my current classification. While this is humiliating I am not bitter at their successes; I am quite intimidated at the work they do: they have earned their station and I have earned mine. I rarely attempt to move up anymore, rarely apply for new jobs, and rarely work on my resume. But that doesn’t stop me from wishing I were doing something else. The last promotion I received was handed to me—all I did was whine at the right person. I was sitting at my desk when I saw my old boss walk through the door. My current manager was leaving, and the job announcement was out for her replacement. When Fred came through the warehouse doors, asking about the open position, I jumped out of my seat and ran to him like Peter to the resurrected Jesus. This was the same person I had problems with in the past and about whom I used to spend hours telling my crew how much of a jerk he was and how glad I was not to be under his boot heel. I asked what he was doing down here, though I already knew. When he confirmed my hunch, I went into action. I gave him a tour of the warehouse and then complained to him that I didn’t want to work in my current position anymore. He reacted the way I knew he would, saying, “If I get the job, I’m going to make some changes around here.” To any rational man with an ounce of self respect, this should have been my exit queue, but that didn’t bother me, nor was I phased by the fact that his promise to “change things around here” was a direct criticism of how I ran my shop. I just sat back and waited for my new assignment and, ultimately, my bigger paycheck. Ironically, when the new classification came, it dawned on me that any hope of leaving civil service for an outside, private job with equal pay and benefits was as good as gone: I was now making more money than I could ever hope for on the outside considering my skill level—the ratchet on those golden handcuffs clicked down. Time went on, and I didn’t move up the ladder or on to a different post or agency. On the rare occasion that I attempt to move, the ultimate denial only reaffirms the self-fulfilling prophecy that I didn’t deserve it. So, I have worked the same old job for over five years rarely pursuing any change in venue or attempting to make more money for being just as miserable. At times, I wish I were more ambitious; at other times, I wish I could be content in my station—that would be the Christian way to look at it. About a year ago, in a Bible study, when we were taking prayer requests, Ken, a Brother who works for a state agency, chimed in asking for a prayer of thanks, saying, “I got a promotion!” We all clapped and congratulated him. After the study, when we were outside the hall, I asked him what his new classification was. With a great big grin, he said, “You are now lookin’ at an Office Technician, Brother, or at least I will be when the paperwork goes through.” Ken is a 50-year-old file clerk who is happy doing entry-level work. He was so happy that I was surprised he wasn’t a Staff or an Associate Analyst—how could someone be happy being a clerk at his age. I knew the answer. I just couldn’t be happy being what I am, which is a sin. Recently, in a closed-door meeting, a co-worker, Sharon, told my current manager, Andrew, that it was time for our agency to promote me. If Fred were still my manager, he would have promoted me a second time by now, not because I deserve it, but because he promoted his staff to justify his own promotions—this is how civil servant managers build that seemingly endless pyramid. I didn’t know anything about the meeting Sharon and Andrew had until it was over and she told me what she had said. In the following two weeks, Sharon provided me with other people’s promotion paperwork as templates for my own paperwork. This wasn’t the first time someone else spoke up for me; a couple of months prior, one of my dearest friends, Sophie, left the agency. At her going-away party, she took Andrew aside and said, “Jocko doesn’t promote himself, but he is an excellent employee, and a very dear friend. Watch out for him.” On the bus going home that night I wept, partly because Sophie cares that much (though she has nothing to lose by saying this stuff) and partly because I need people like Sophie (and Sharon) to fight my battles for me. So this is how I kicked off my promotion process—with a little help from my friends—friends who really, truly didn’t know whether I deserved a raise. Both Sharon and Sophie have been promoted twice since my last raise, and they were probably sensitive enough to think I was embarrassed about that, which I am, but also it is the civil servant thing to do—to get promoted—and I am obviously not doing a good job at it. A month after Sharon’s meeting, I submitted my papers. I have no idea how this will go; my boss hasn’t said a word, and there is only about a month left before the promotion committee reviews all the candidates. 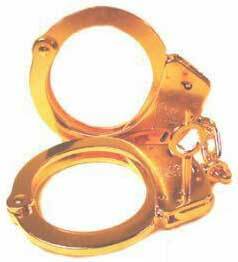 I think I am going to dread the outcome regardless—these golden handcuffs are tight enough. You should have been a journalist – you’re a GREAT writer. I was LOLing on the selling shoes part…good luck on the range change! I wish I were on the committee.